Welcome to Modular Classrooms, eco-friendly buildings which are quick to build and easy to maintain. 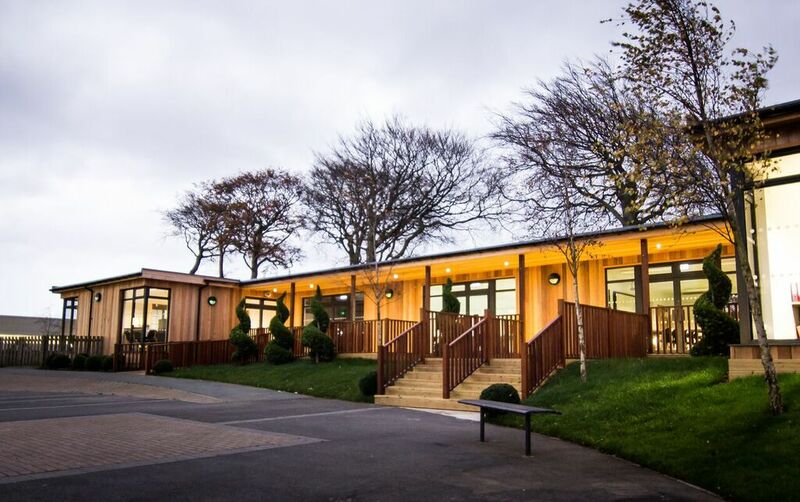 Modular classrooms are a sustainable building solution for expanding schools and colleges, designed to be incredibly energy efficient and flexible working spaces which can be fitted for a diverse range of functions throughout any school. What is a modular classroom? Modular classrooms are permanent structures which are designed to be constructed in component parts and quickly assembled on and off site. Incredibly flexible and durable, energy efficient and eco-friendly, modular classrooms are constructed using timber frames cut from sustainable sources and can be assembled with a number of features such as sun pipes, solar water and power systems, living sedum roofs and AA rated cooling and heating. Modular classrooms come fully prepared, fitted and decorated with minimal interference to the surrounding school and can be easily adapted or added to because of their modular nature. Using teams of educational specialists throughout the design process, these modular school buildings are built to be modern, stimulating spaces filled with natural light and serving as inspirational learning spaces and stunning locations for extra-curricular activities. Check out the case studies for examples of them in use. Traditional bricks and mortar extensions are considerably more expensive than a standalone building tucked away in an underutilised area of the school’s grounds. We use modern, eco-friendly materials, methods and technologies to create ecologically sound and sustainable buildings. A standalone building can be used for before or after school activities without the need to keep the main school buildings lit, heated and open. It is a relatively simple process to extend a standalone building in the future, as and when needs and means arise. Modular classrooms don’t just function as brilliant learning spaces. Because of their innovative and adaptable, modular design, eco-classrooms can be made into multiple blocks with a huge variety of different uses. As each modular building is designed to your preferences, they can be assembled to seamlessly blend with existing modules and buildings within the school as well as ensuring they remain customisable in case you plan for any further extensions. So, whether you need a new light-filled library, a spacious haven for young musicians or want to introduce an outdoor learning space for your school, this solution can provide you with your perfect classroom that will keep on delivering far into the future. Take a look at the costs page to give you an indication of price and range.